Every month, Logos Bible software gives away a digital-edition book for free, along with another book from the same series for just 99 cents. 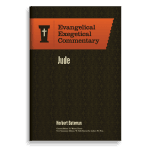 We’re happy to inform you that the Free Book of the Month for June comes from our very own Evangelical Exegetical Commentary series. 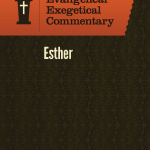 Right now, you can pick up the Evangelical Exegetical Commentary on Ester absolutely free! And for just 99 cents, you’ll get the volume on 1–3 John as well. The story of Esther is a familiar one, made popular by Sunday School teachers, novels, and movies. Her people threatened with extinction, Queen Esther must summon the courage to approach the Persian King Xerxes in order to save the Jews. But what is the real message of Esther? In this commentary, Anthony Tomasino closely examines the Hebrew text to explore the motifs of feasting, sovereignty, assertiveness, and reversal in the book of Esther. He also explores its connection with the celebration of Purim, the theme of the invincibility of the Jews, and the conspicuous absence of any mention of God. Then, in 1, 2, & 3 John, Gary Derickson explores how John communicates his pastoral concerns in his three epistles. Interacting with the most recent scholarship, Derickson focuses on John’s message and concerns rather than following the common theory of a Johannine school and secessionist polemic. He distinguishes pastoral and polemical elements within John’s message and recognizes John’s own assessment of his readers’ faith. By encouraging his readers to express God’s love through active involvement in one another’s lives, John shows that he is concerned not with how we possess eternal life but with how we express it as we relate to God. 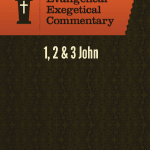 The Evangelical Exegetical Commentary series, written from an evangelical perspective, incorporates the latest in biblical scholarship. It combines historical, literary, and theological explanations with ideas for applying the Bible to everyday life. Get Ester free, and then get 1, 2 & 3 John for only 99 cents today!